"The Founding Fathers were clear when they drafted the Bill of Rights," Rep. Bishop said in a statement. "The 2nd Amendment is about security and self-defense. Vagaries in today's legal code pose a real threat to the right to keep and bear arms. The Obama administration exploited this ambiguity to forward its agenda of restriction. It's time to ensure no future administration tramples on these freedoms guaranteed by our Constitution." 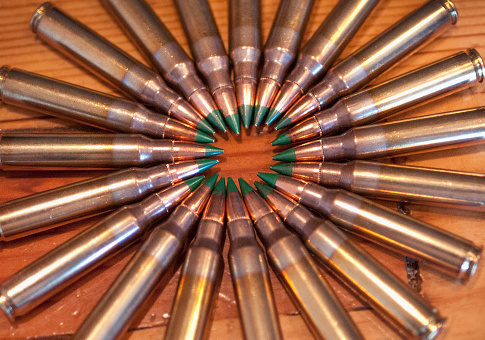 The congressman points to the ATF's attempt to reclassify the popular M855 "green tip" 5.56 millimeter ammunition as "armor piercing" under the Obama administration. The attempt to reclassify the ammunition would have effectively outlawed its sale on the civilian market despite decades of it being legally available to consumers. The ATF ultimately abandoned the effort after receiving backlash from gun owners. The National Rifle Association (NRA), which organized opposition to the M855 ban, said it supports Bishop's bill. "On behalf of the NRA's five million members, I would like to thank Chairman Rob Bishop for introducing this critical legislation," Chris Cox, head of the NRA's Institute for Legislative Action, told the Washington Free Beacon. "It sends a clear message that Congress will no longer allow federal bureaucrats to infringe on our Second Amendment right to self-protection." The bill would also keep the ATF from banning the importation of firearms that are legal to own in the United States and reclassifying certain shotguns as heavily regulated "destructive devices," and it would allow temporary interstate firearms transfers for other legal purposes beyond sporting purposes. Rep. Bishop introduced the same bill in the last Congress, but it never made it out of committee. He is hoping it performs better this time around despite a jam-packed legislative schedule. This entry was posted in Issues and tagged 2nd Amendment, ATF, Guns. Bookmark the permalink.